We used our standard PC & GoPro Studio for our smaller videos without a hitch so were hoping we could get by without a Video editing PC. As the videos got larger, Studio would hang periodically. 2 Is it Worth the Effort? We hoped to build a Video editing PC without breaking the bank. We built the PC back in October 2017 but only recently ironed out some of the kinks with MSI and memory. We have historically stuck with Intel but you can get a lot more bang for the buck with AMD processors. Key to video editing is multiple cores and AMD is tough to beat in that regard. We built our video editing PC with a AMD Ryzen 5 1600. This 6-core CPU was much more powerful than a comparably priced Intel CPU. Once we had decided on a CPU, we looked for a compatible system board. 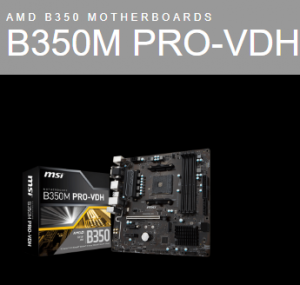 The MSI -350M Pro-VDH fit the bill. None of the newer system boards were without issues and we had no intention of gaming. We had numerous issues rebooting the PC until recently. BIOS updates for our system board and SSD M.2 drive have been key. We wanted the fastest memory we could fit into our budget. Team DDR4-3000 was considered a bargain for the price so we decided we would give that a try. Note that any memory speed above 2667 MHz is not officially supported by AMD and is considered over clocking (OC). Historically we have been wary of over clocking anything but it’s pretty common with AMD. Additionally, you should use memory that is on their approved hardware. When our memory performed less than expected we tried more expensive memory that was on the list. That memory did no better than ours so we stuck with our original choice. Through a series of BIOS updates we are currently getting 2933 MHz which is great but it hasn’t been easy. Up until the latest BIOS update, the max we ever saw was 2800 MHz. We still can’t use MSI A-XMP but Try It works fine. These days you need a SSD drive for your operating system but there are many to choose from. The M.2 version is much faster so this is the route most take. It’s a breeze installing software from a fast USB thumb drive to a M.2 drive. There were issues seeing the M.2 drive on boot but we sorted that out without too much difficulty. More disturbing was issues with restart. There was almost zero chance that the PC would boot on a restart. We found that entering BIOS (delete) seemed to allow the system to find the drive. Even exiting (F10) with no changes was enough to get the system to boot. This was not critical to our operations so we lived with this for months. 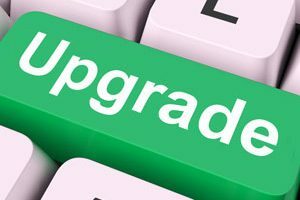 Recently we got a firmware update from MyDigitalSSD and the PC reboots without issue. 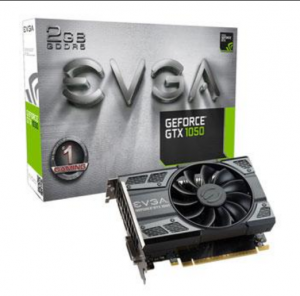 We opted for a GPU that was solid without being too pricey. We haven’t had any real issues with it other than downloading huge drivers for NVIDIA GeForce Experience. I am not sure we even need those since we don’t do any gaming. The GPU works fine even running dissimilar monitors. Currently we are running a 4K 32″ monitor (Display Port) & a 1K 28″ monitor(HDMI). We are now able to edit videos without too many issues. GoPro Studio has been left behind for Premiere CC and we are editing 4K videos. We definitely like the speed of our video editing PC but it has not been without some headaches and it cost around $900 in parts & Operating System (Windows 10 Home). That didn’t include the recently acquired 4K monitor which is another story in itself.